Roar in the Shore motorcycle stunt action. Photo courtesy of Liezl Estipona/City of Long Beach. 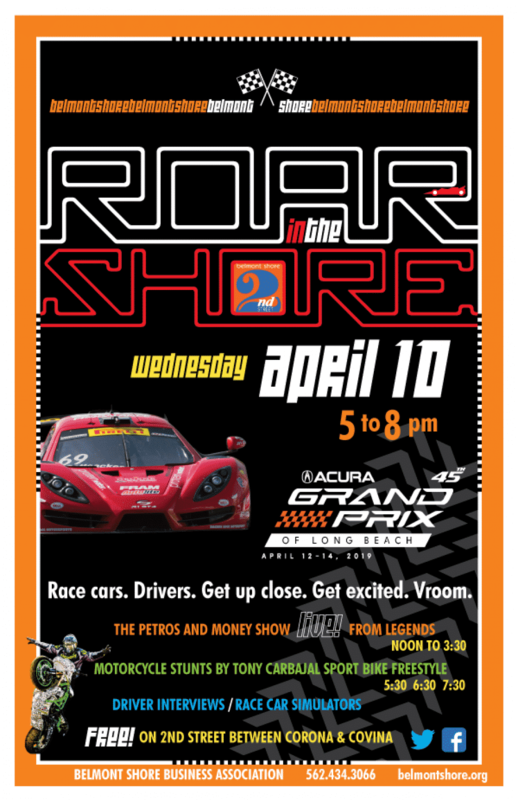 Roar in the Shore on Second Street brings fans up close and personal with race cars on display from the Pirelli GT4 America series, as well as a selection of Acura NSX sports cars. Professional drivers will also be there to greet fans and give autographs. 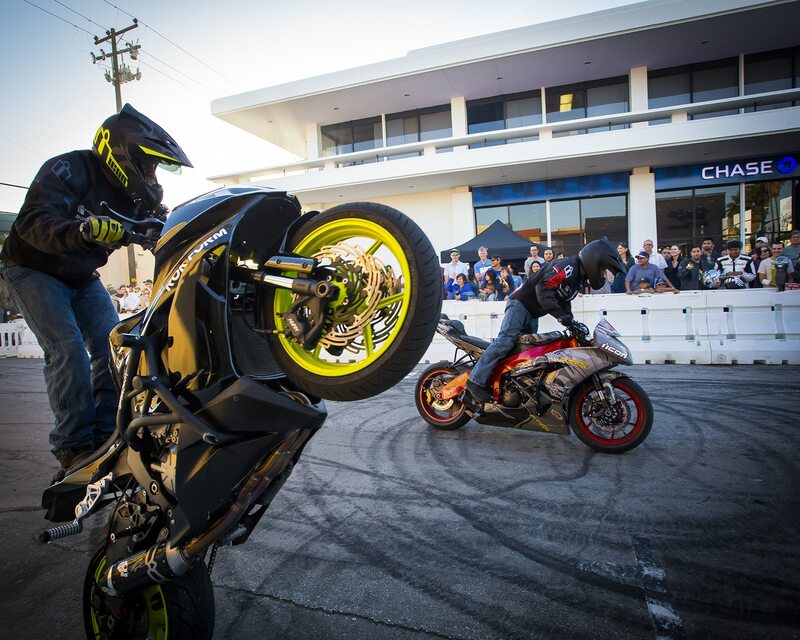 Tony Carbajal’s motorcycle stunt show will also perform in the area of Corona Avenue and Second Street at 5:30, 6:30 and 7:30 p.m. 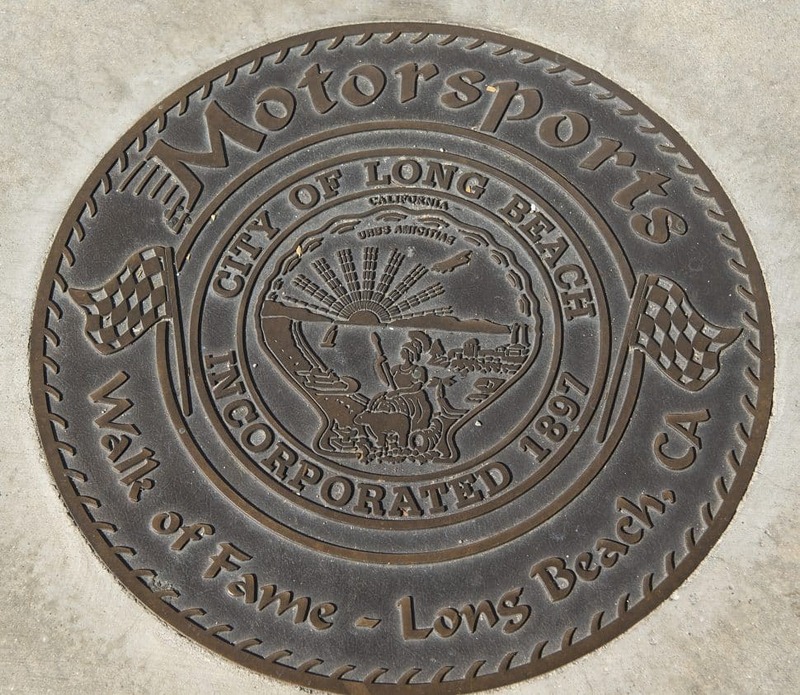 The Long Beach Motorsports Walk of Fame ceremony, where Will Powers and Sebastian Bourdais will be inducted. They are the first active IndyCar drivers to be inducted in the Walk. Thunder Thursday at the Pike Outlets is a free festival with food, entertainment, motocross demonstrations, stunts and a pit stop competition. When: 6:30 to 10:30 p.m.
Monte Carlo Night, one of two fundraisers for the Grand Prix Foundation, will feature casino-style gambling (including a poker tournament) from 7 to 10:30 p.m. at the Renaissance Long Beach Hotel. Casual attire is welcome. Cost to play is $50; it costs $75 to enter the poker tournament. Purchase tickets here. The gates open at 7 a.m. each day on race weekend. During Sunday’s IndyCar race, Scott Dixon, the 2018 series champion, will be chasing his sixth series title and second win on the streets of Long Beach in the fourth race of the 2019 NTT IndyCar season, scheduled to start around 1:40 p.m. Sunday.